As most of the nation is enduring some of the coldest weather of the year, it is sunny and warm here in southern Florida. Bill spent most of the day yesterday at a friends house building and repairing RC airplanes and today he is at the flying field. Since, at the moment, we only have one car, I'm home - doing more than my usual blogging. 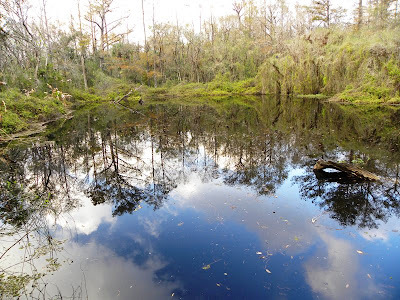 My sister Beth came over yesterday and we walked the boardwalk at Six-Mile Cypress Slough. The water table in the swamp appears higher to me than this time last year - even though SW Florida is below normal in rainfall. We saw few wading birds and fewer small birds. 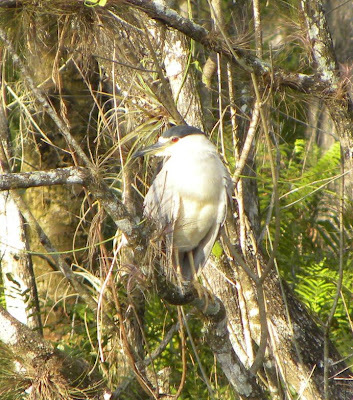 It's always a good day when I get to see a Black-crowned Night Heron. 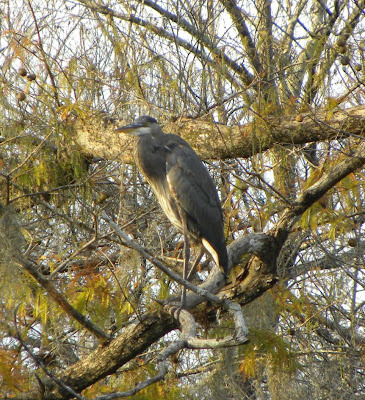 Late in the day, the sunlight danced on the trees and this Great Blue Heron. 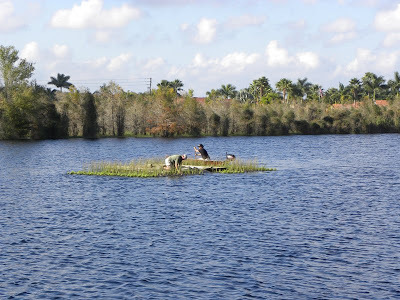 This may be one reason we didn't see as many birds - island maintenance. I always love the reflections. 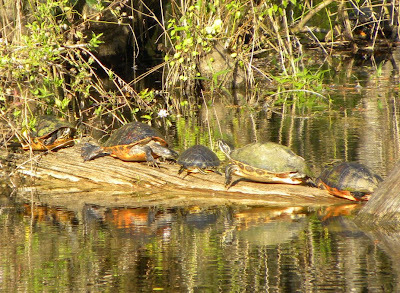 The turtles were lined up! And so were the Ibis. 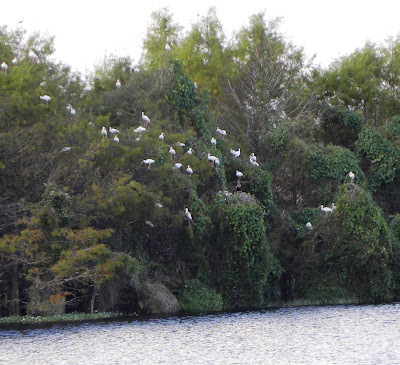 As we were leaving, flocks of Ibis flew over the lake and landed in the trees. Beth called it the Ibis tree. 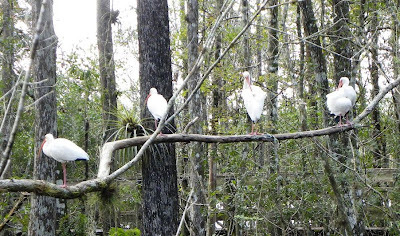 I had to check to learn what the plural of Ibis is and learned from Wikipedia that "the collective plural is Ibis and the classical plural is Ibises."